emotional elements of landing Apollo 11 on the Moon in July 1969. 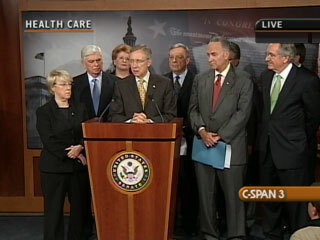 Health Care reform has been a long, complex mission with an uncertain outcome. Is it an overstatement to say that landing on the Moon and returning to Earth was an easier and safer endeavor than getting the Health Care Reform Bills passed, conferenced and onto the President’s desk for signature? At this moment, it seems almost to be the case. When Neil Armstrong took manual control of the lunar lander to find a safe spot to set down, a thousand different things could have gone wrong. In fact, alarms were going off in the cockpit. It’s one thing to read about it. As we close this 40th Anniversary of the Apollo 11 Landing, it really is much more satisfying to watch it. This video is one continuous shot of approximately the final 10 minutes of the descent and landing, viewed from the right window of the LEM. The audio is quite good, as well. Watching it still stirs in me that sense of excitement I felt as a 16 year old kid glued to the TV set with my family. 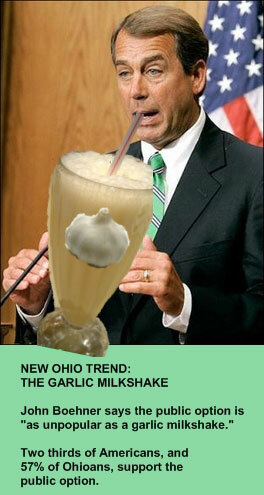 If your standard for comparison is your ideal health care reform, then of course this will be disappointing. Like every bill that’s moved through Congress, this one would leave millions uninsured even after full implementation–and leave millions with coverage facing substantial, although generally not crippling, financial burdens. It would introduce some reforms to the delivery system and, according to the official cost estimates, generate budget surpluses over time. But it’s not going to radically turn American health care into a paragon of cost efficiency. Let me say that I get especially, um, annoyed at people who say that the plan isn’t really covering the uninsured, it’s just forcing them to buy insurance. That’s missing not just the community rating aspect, but even more important, it’s missing the subsidies. And we’re talking about big stuff: between Medicaid expansion and further support for families above the poverty line, we’re looking at around $200 billion a year a decade from now. Yes, a fraction of that will go to insurance industry profits. But the great bulk will go to making health care affordable. So how anyone can call a plan to spend $200 billion a year on Americans in need a defeat for progressives is a mystery. I wish there were a public option in there; I wish there were broader access to the exchanges; I wish the subsidies were even bigger. There’s lots of work to be done, work that may eventually culminate in a true, not simulated, single payer system. But even in this form, we’re looking at something that will make America a more just, more secure nation. 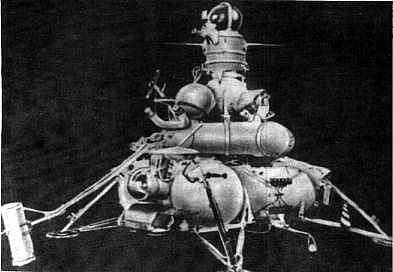 Luna 15, launched only three days before the historic Apollo 11 mission to the Moon, was the third Soviet attempt to recover and bring lunar soil back to Earth. The spacecraft was capable of studying circumlunar space, the lunar gravitational field, and the chemical composition of lunar rocks… After completing 86 communications sessions and 52 orbits of the Moon at various inclinations and altitudes it began its descent. 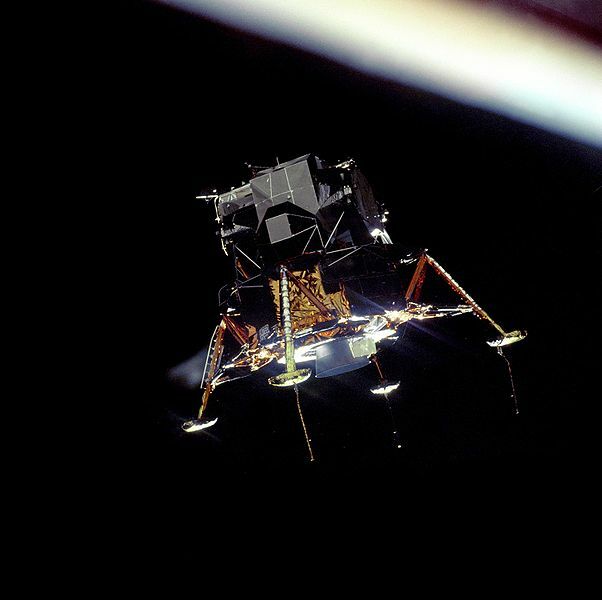 Astronauts Armstrong and Aldrin had already set foot on the Moon when Luna 15 fired its main retrorocket engine to initiate descent to the surface at 15:47 UT on 21 July 1969. Unfortunately, transmissions ceased only 4 minutes after deorbit at a calculated altitude of 3 kilometers. The spacecraft impacted the lunar surface on July 21, 1969. The spacecraft had probably crashed onto the side of a mountain. Source: Wikipedia. Launched 3 days before Apollo 11, the USSR's unmanned Luna 15 crashed onto the Moon's surface just hours after the Eagle had safely landed with Armstrong & Aldrin on board. No, I think I’ll give this Tea Party protester the final word. Just like the rest of us loyal and patriotic Amurricans, life without spell-check is worse than…oh, wait, he spelled the word right. In high school he clearly decided to protest which sections of Mrs. Dewey’s English classes were not patriotic enough, because he was getting this way-too-liberal education paid for through public taxation. And those unacceptable sections happened to include homonyms and writing complete sentences. I think his pointy hat needs to be cone not a tri-corner. This entry was posted in American Health Care, Barack Obama, Democrats, Extreme Thinkover, Health Care Reform bill, NASA, Paul Krugman, Political Commentary, Republicans, Sen. Max Baucus, Universal Health Care and tagged Access to Health Care, American Health Care, Apollo 11, Baucus, Ben Nelson, Conference, Extreme Thinkover, GOP, health care access, Health Care Reform, Health Insurance, Joe Lieberman, John McCain, Jonathan Cohn, Luna 15, Mitch McConnell, NASA, Neil Armstrong, New York Times Op-ed, Obama's Health Care Plan, Obamacare, Paul Krugman, pelosi, Political Commentary, Reid's Health Care Bill, Rep. John Boehner, Republicans, Senate Health Care Bill, Tea Party, The New Republic, Universal Health Care by Dr. David Waggoner, PhD. Bookmark the permalink.